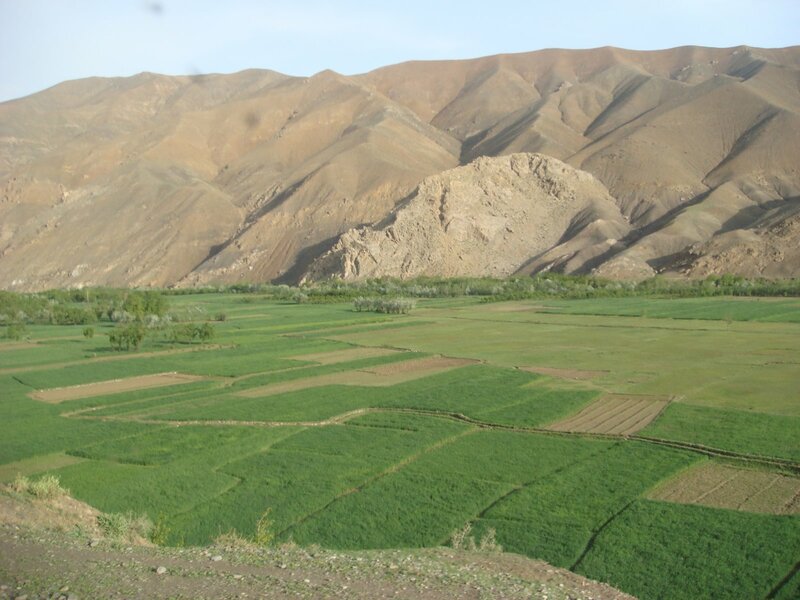 Bamiyan is a fairly isolated central mountain province in central Afghanistan and the town lies in a fertile valley that is only 15 km long and 3 km wide. The views are incredible. 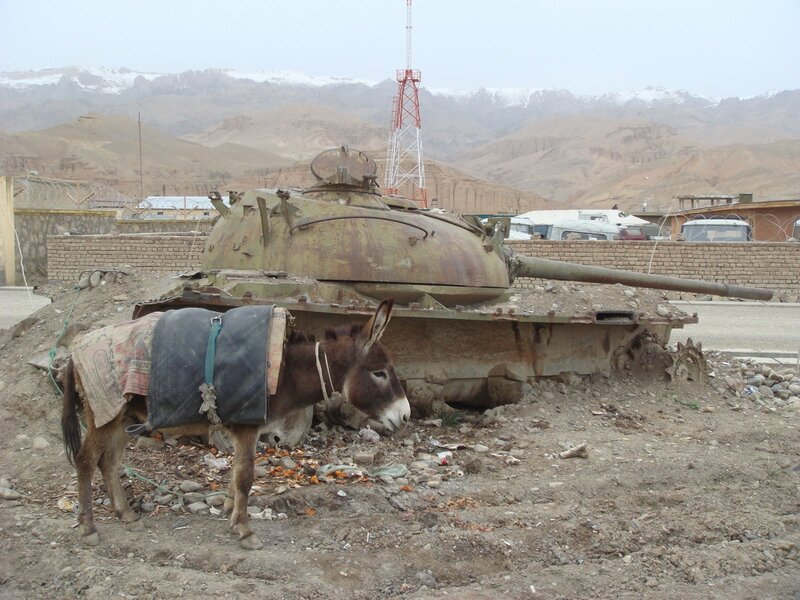 The background to this surprising place is the Silk Road. 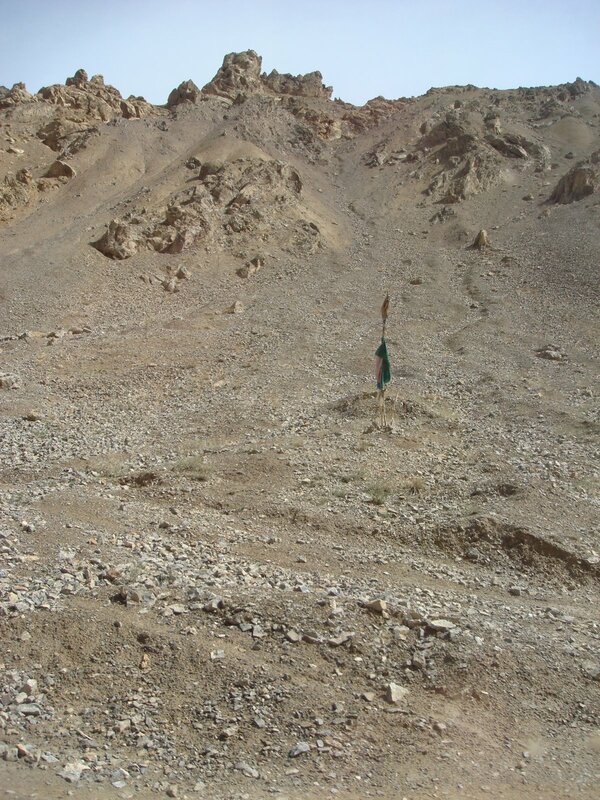 The profits of Rome and China passed through here and the valley served as a resting place for caravans traveling between Balkh and Kabul. 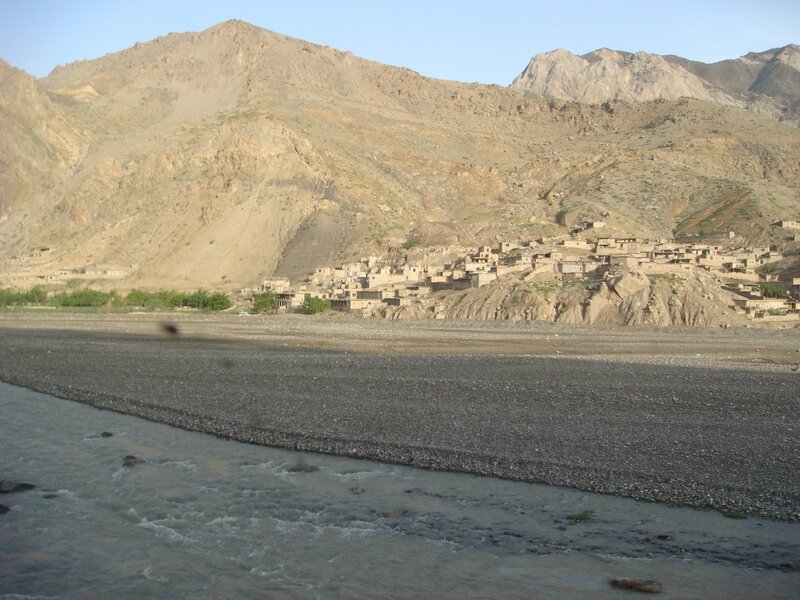 The turnoff for the safe – well, safer – road to Bamiyan is very close to Bagram Air Base which is about an hour out of Kabul (depending on traffic). 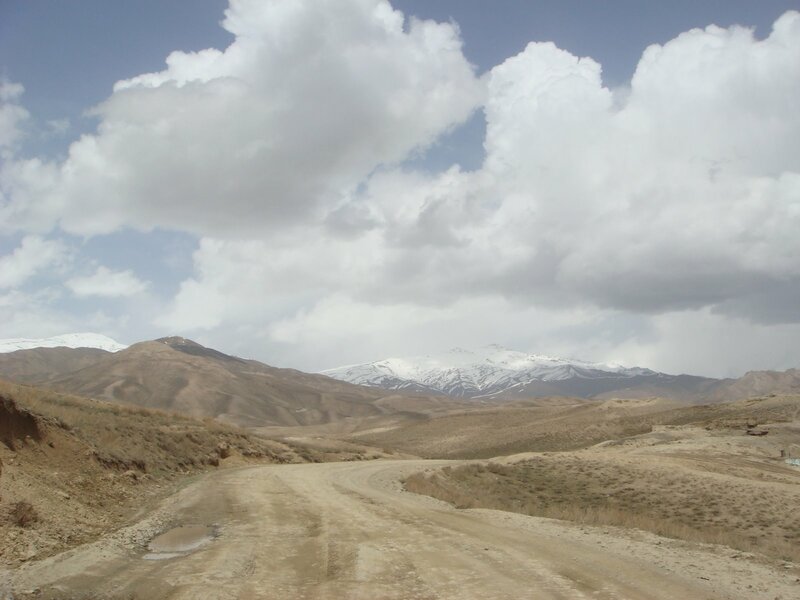 The roads to Bamiyan are both dirt and are crude to say the least. 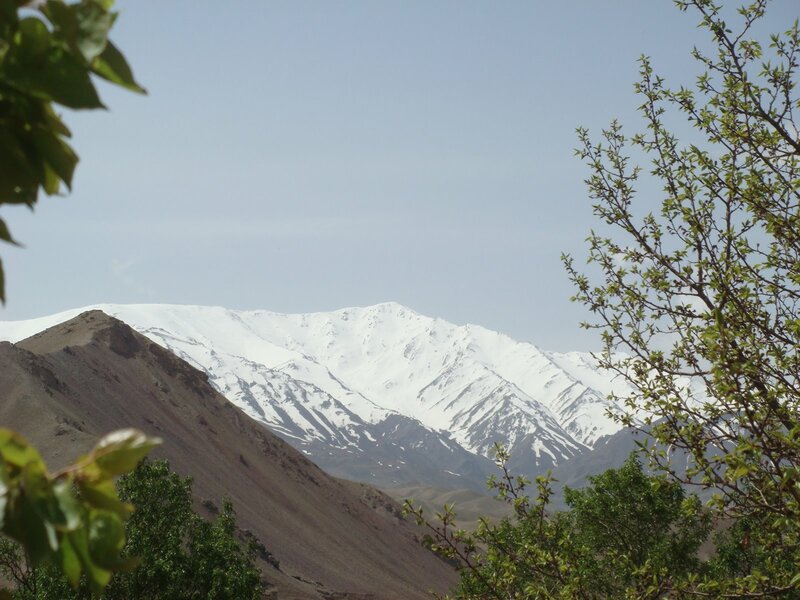 It takes many bone-shaking hours to get to Bamiyan itself, but the drive and the sights along the way are amazing. 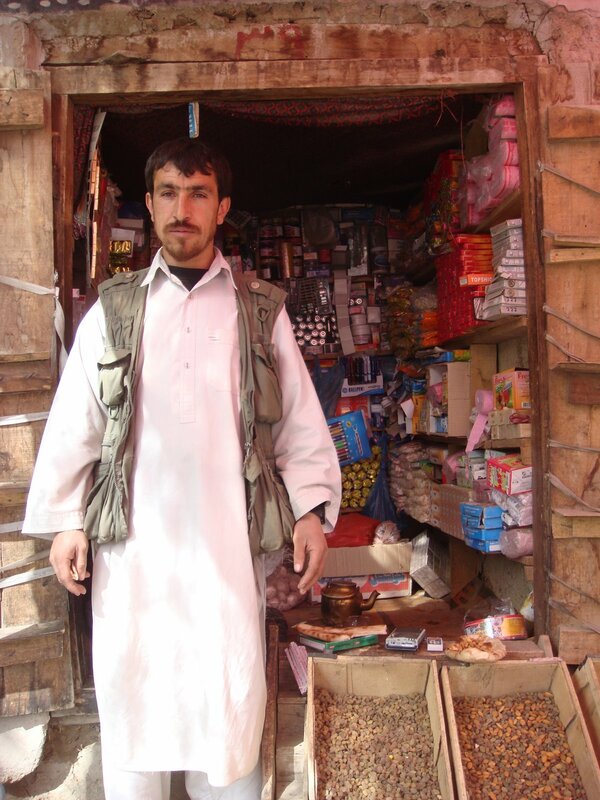 I loved all of Afghanistan, but if I were forced to choose a favorite part, I would have to choose Bamiyan. This is a village we stopped in to eat. I never caught the name of it and it may not even have a name. It is pretty small. 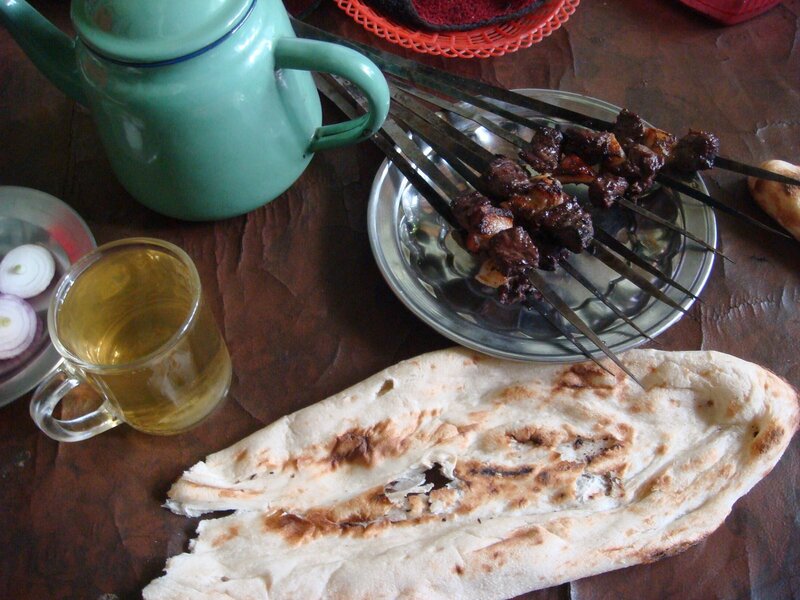 The typical Afghan breakfast, lunch and dinner. It’s very good, but after a month, one does begin to crave a little variety. 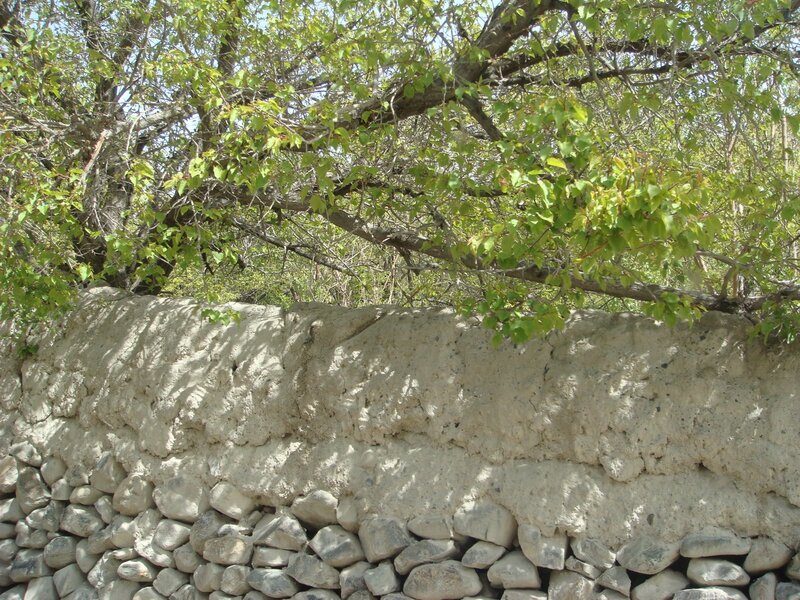 The typical Afghan bathroom in rural areas. Not really much fun if you’re sick. A martyr’s grave. 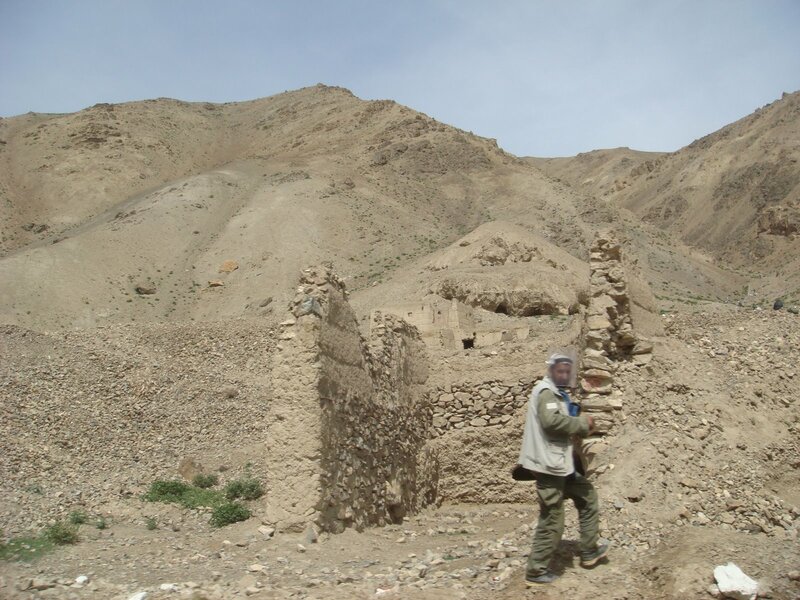 There were some ferocious battles with the Soviets in this area as the mujahideen fighters would take advantage of the steep canyon walls to launch ambushes on Soviet convoys. More pictures taken out the window on the way in. The picture below is a H.A.L.O. 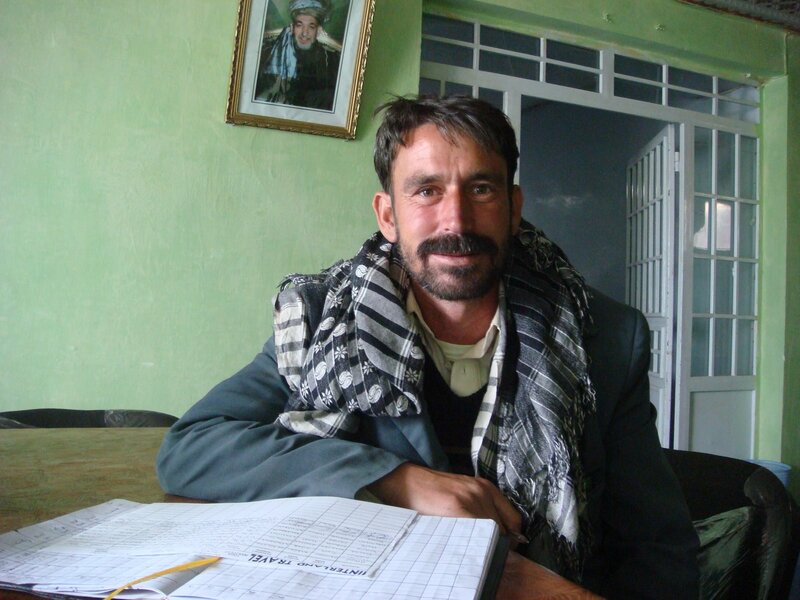 Trust employee working on clearing land mines. 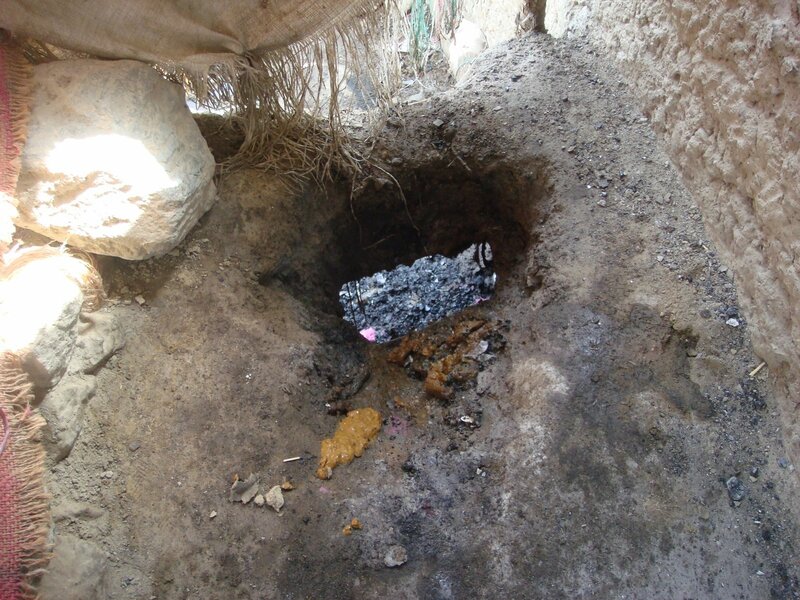 One of Afghanistan’s most venomous presences, mines carry an endless list of threat. Tread on an anti-personnel mine and you will be lucky to lose only your foot. In over a third of cases, victims are made impotent by the blast or its accompanying shrapnel, or the grotesque secondary impact of having part of their foot blown into their groin. Following someone else through a mined area involves a balancing act whereby you need to stick close enough to step in their footprints, but far enough back that you are not scythed by shrapnel if they detonate a device. The process is further complicated by tripwires, double-pressure devices that are primed by the first footfall and initiated by the second and by bouncing mines that spring waist to shoulder height before exploding, in which case anyone in the vicinity will be hit, whether they tripped the thing or not. Double impacts are also common: in the shock and pain of a primary explosion, a wounded survivor frequently rolls on to a second mine. 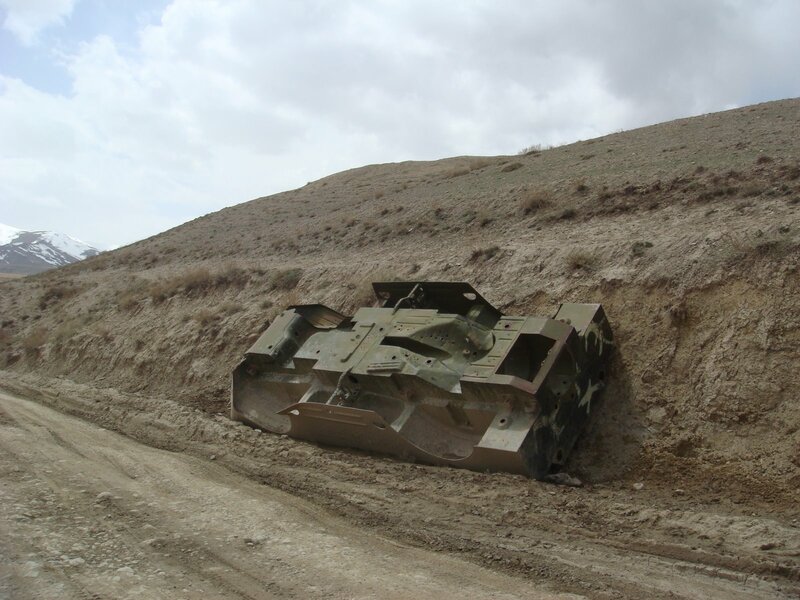 I walked through a couple of mine fields in Afghanistan in order to get to difficult to access areas, but I wouldn’t suggest anyone make a habit of it. Really, it’s tough to say enough positive things about the H.A.L.O. Trust and what they are doing. 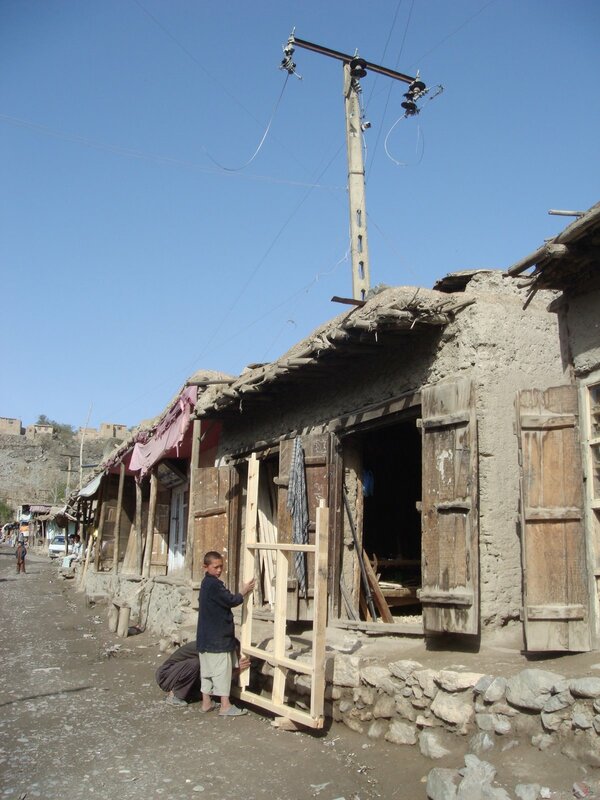 Evidence of their work is everywhere which is something that can be said of very, very few NGOs and UN agencies in Afghanistan. This is our driver and vehicle a couple of hours into the journey during a break from the driving. 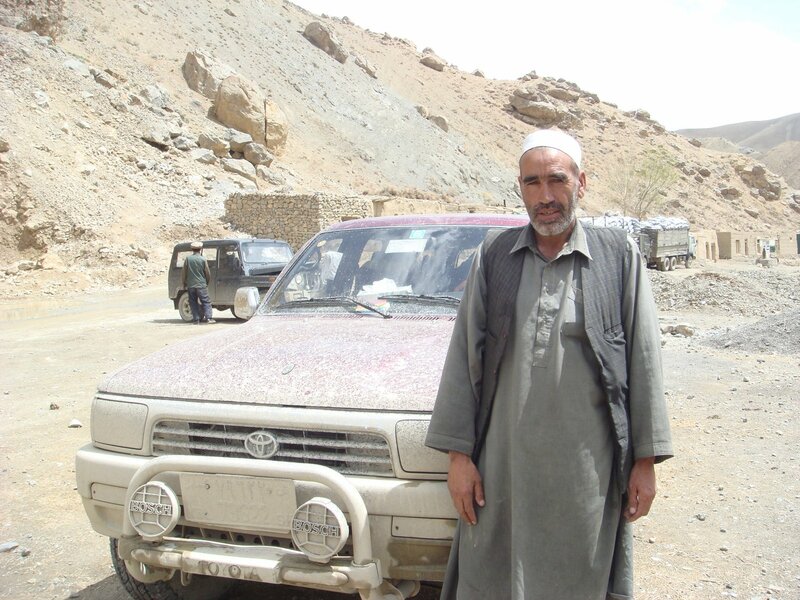 That 4WD was immaculately clean when we turned off of the pavement and onto the dirt road to Bamiyan. We went through a lot of mud and dust. 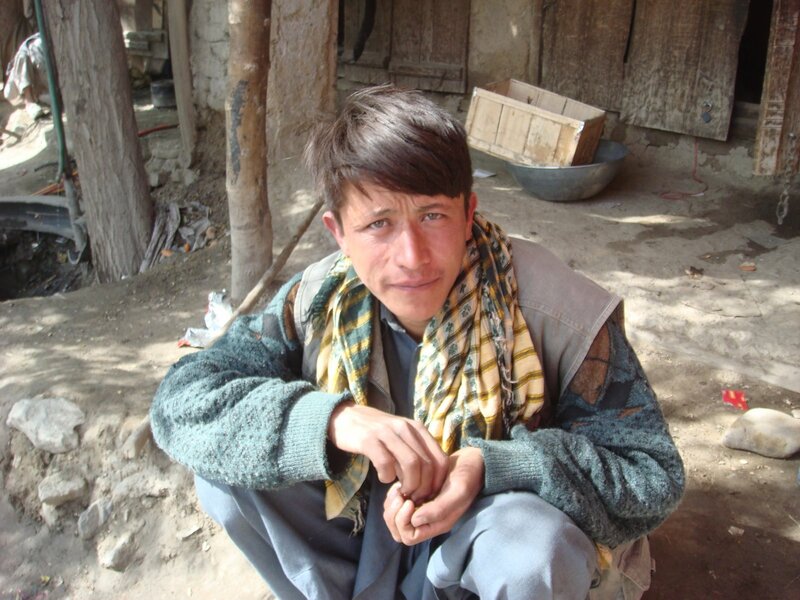 This is one of the Afghan passengers that was also going from Kabul to Bamiyan. A cool guy. 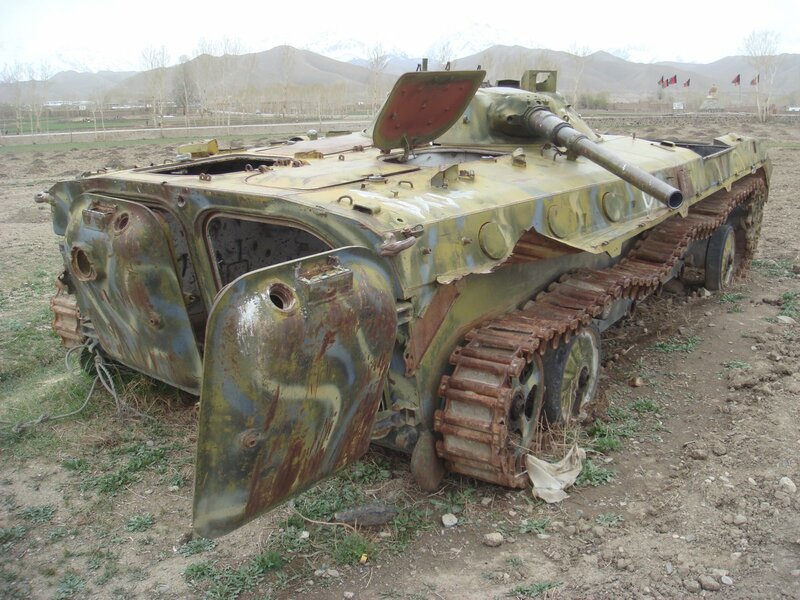 A bombed out Soviet armored personnel carrier (APC). 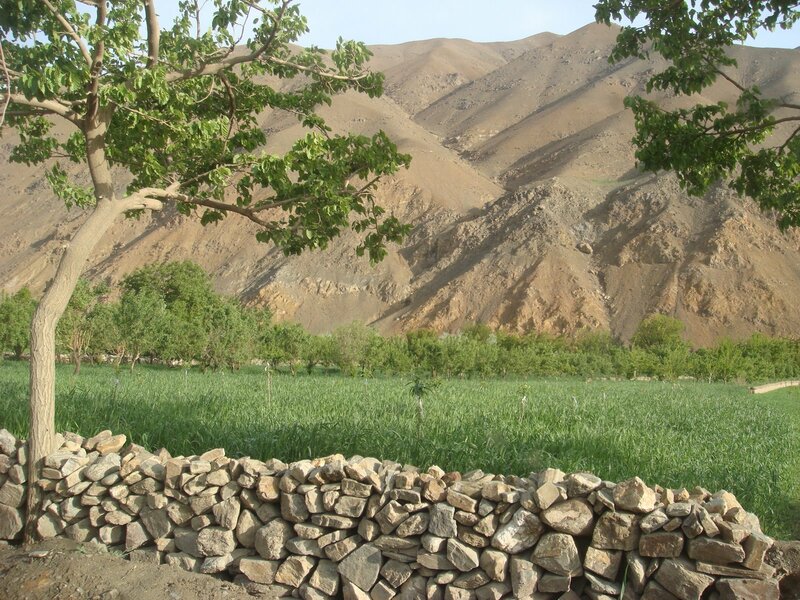 Cresting the mountains that ring Bamiyan. 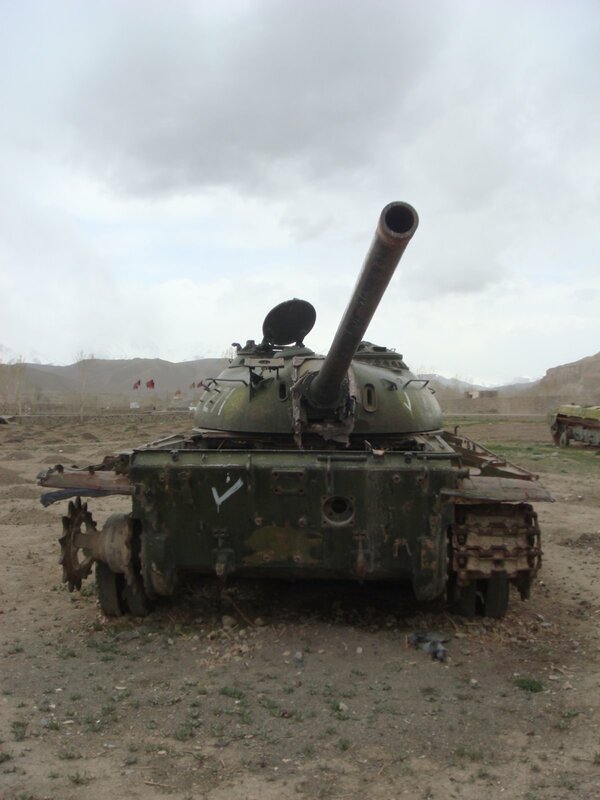 On the edge of Bamiyan is a field filled with bombed out Soviet tanks and other vehicles that were destroyed in fighting with the mujahideen. I thought it was extremely photogenic. And I thought this juxtaposition was priceless. The donkey wasn’t tied down or anything; just ambling through the area. 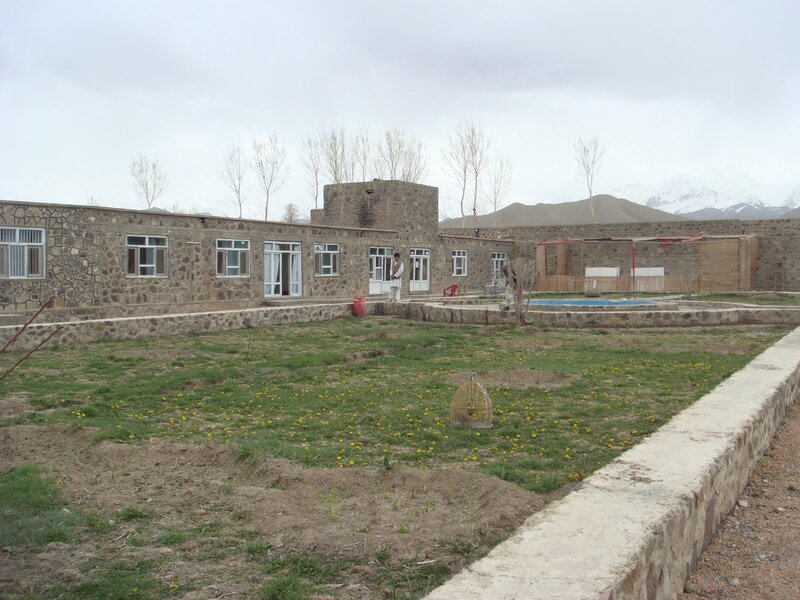 This was our hotel in Bamiyan – the official government hotel. It looks nice, but it was bitterly cold at night and we only had electricity for two hours a day. 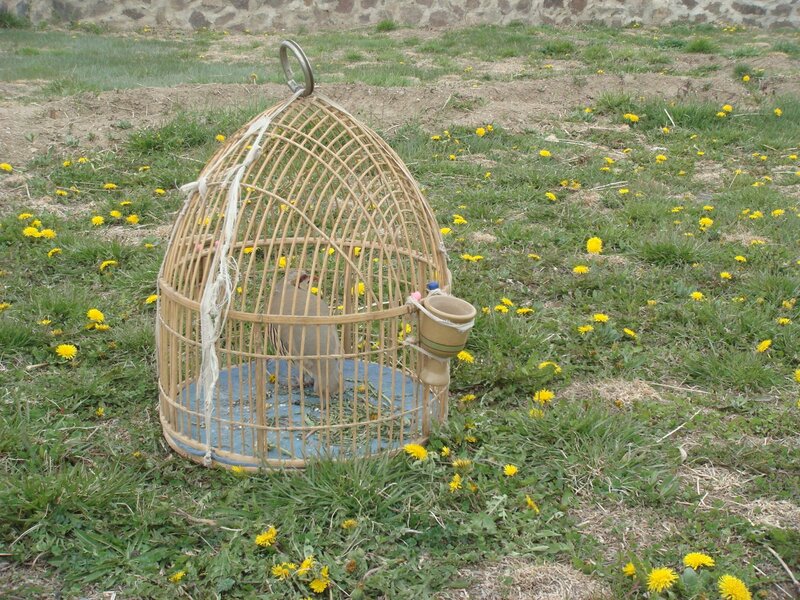 This fighting partridge belonged to one of the hotel employees. This is the manager of the hotel checking us in. And that’s a portrait of Karzai hanging in the background. 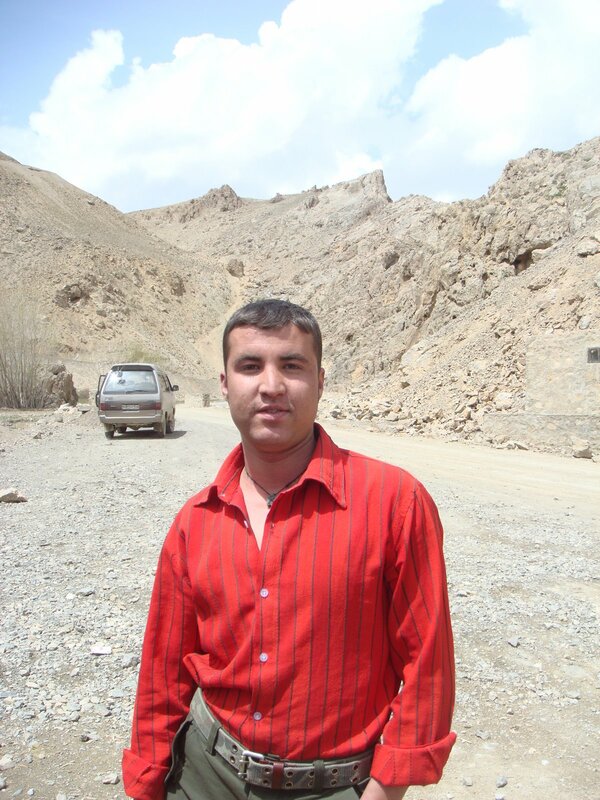 Tags: Afghanistan, Bamian, Bamiyan, Bamyan, Road to Bamiyan, Tourism in Afghanistan. Bookmark the permalink.